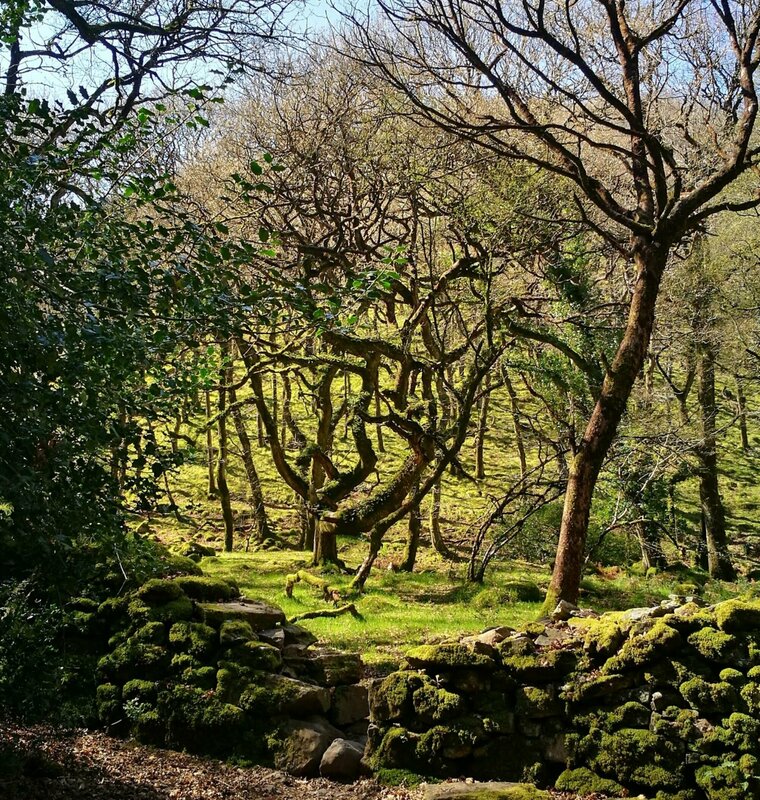 The incredible Dartmoor National Park is absolutely central to the running of our family. 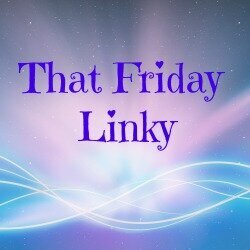 It is our family playground and is the glue that holds us all together. We had a fantastic day recently that tells a great story of how much variety and enjoyment you can have in just one day on Dartmoor, that satisfies everything a family needs for a great day out full of adventure, learning and great food! Having a day in the great outdoors is good for everybody for so many reasons and this family day was no exception. We met our guide for the morning, Paul Rendell. 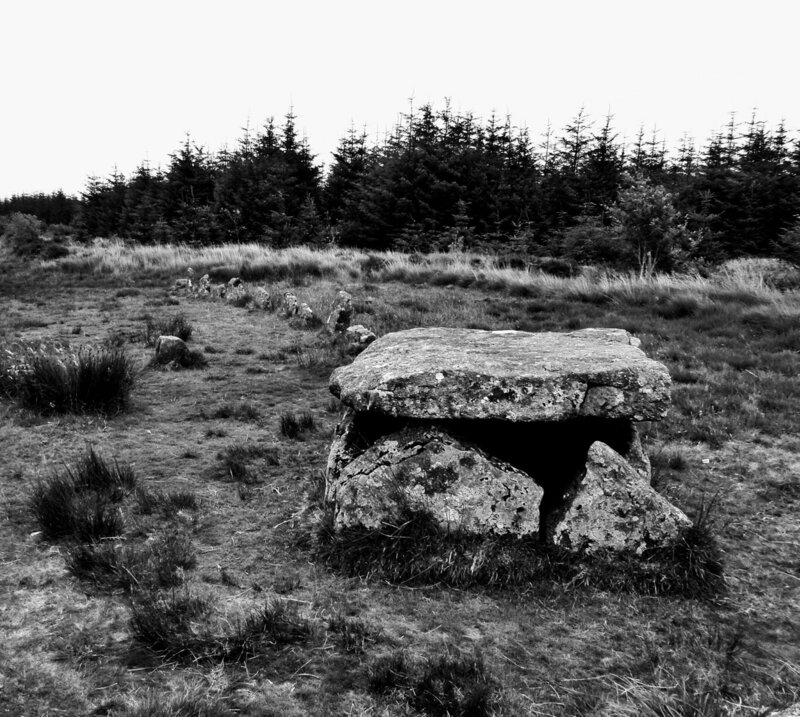 Paul is a local historian, moorland guide and editor of Dartmoor news. As arranged, he was waiting for us at Postbridge car park to start our family walk through Bellever Wood and up to Bellever Tor. Dartmoor Paul as he’s locally known is an absolute star, his knowledge and obvious love of this amazing landscape is clear for all to see. He was brilliant with our children and had them completely engaged whilst teaching us lots of new and interesting facts, not to mention us having a few laughs along the way. I would highly recommend his guided walks and I will post his information below. Guided walks are a great way to explore new places as the route is all planned out for you, this means that you can really enjoy your surroundings without any thoughts of navigation. 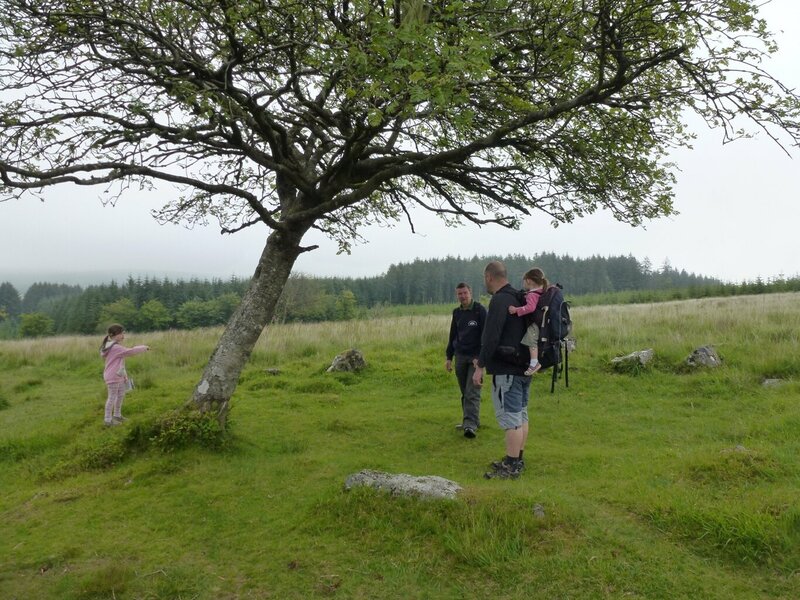 This was our first visit to Bellever and we were excited as a family to get walking and discover a new area, as with most of Dartmoor, the history and archaeology in this particular area was plentiful. Amongst various monuments there are many stone rows, roundhouses and boundary walls to be seen. 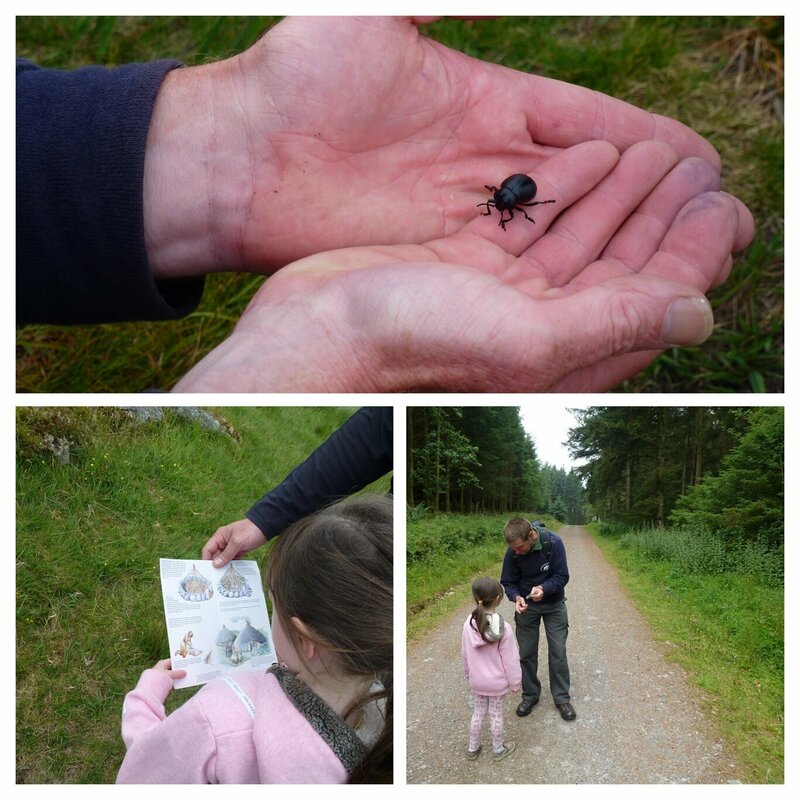 There is also a fantastic array of wildlife, this is something we all particularly enjoyed and can now confidently identify many new species of plant and insect life, with thanks to our new Essential Dartmoor Nature book, recommended by Paul and sold in the Visitors Centre… An absolute family must have. 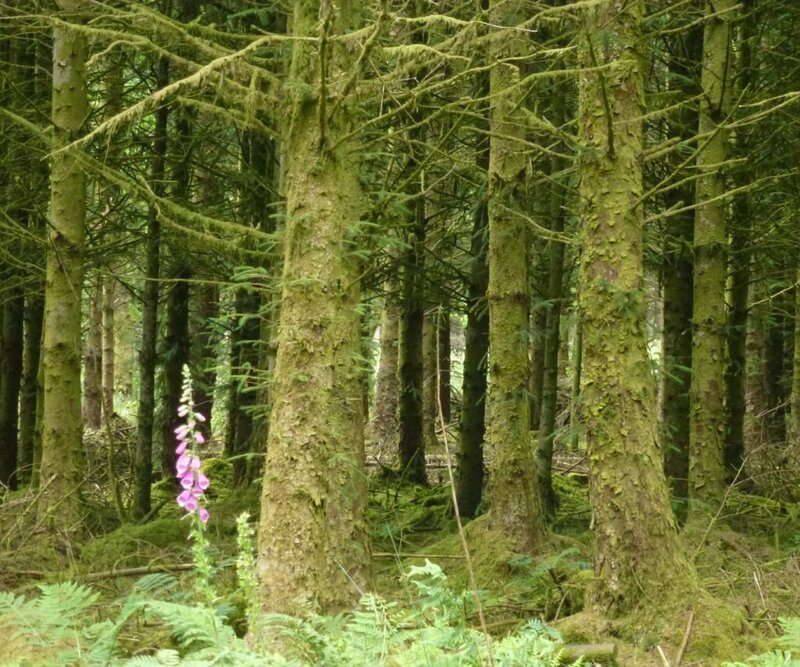 Originally Duchy land, Bellever Wood is now leased by the Dartmoor Pony Heritage Trust from the Forestry Commission. 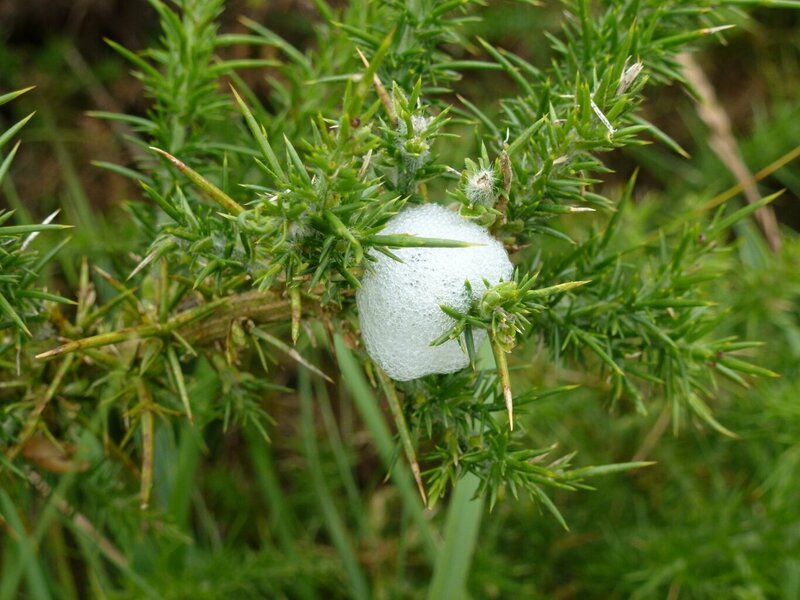 It is now beautifully managed and cared for by the trust and their all important volunteers. The 26 Pure bred Dartmoor Ponies have the full run of a huge one thousand acre holding. We did just about catch a quick glimpse of them on our way to the top of Bellever Tor, on this occasion they were nowhere to be seen by the time we arrived at the top, but this is of course a great incentive to go back. The sense of family achievement on reaching the top of a Tor is always something we relish, especially with our children. The views were incredible all around, even on this grey and windy day. Having a breeze to walk in is always lovely in my opinion and the little explorer in my eldest enjoyed working out where the best spot would be to shelter from the wind, and to have our half way snack and drink. We had even more fun on the way back down, my daughter now becoming the leader with Dartmoor Paul following closely behind to point out track marks, insects, and many more things including heather varieties of which we now know there are 3 types of on Dartmoor, Bell, Ling and Crossheath. On our descent, we enjoyed one the many Dartmoor folk stories from our guide, telling us all about the legends of the Dartmoor Slug and the two sisters of Snaily house who according to the tale, had lived their whole lives by having these creatures as a staple part of their diet. After a delightful walk we arrived back to the Postbridge car park to spend some time at one of the award winning Dartmoor National Park visitors centres. We picked up our nature guide book that was recommended to us along with some sticky slug toys for the kids. 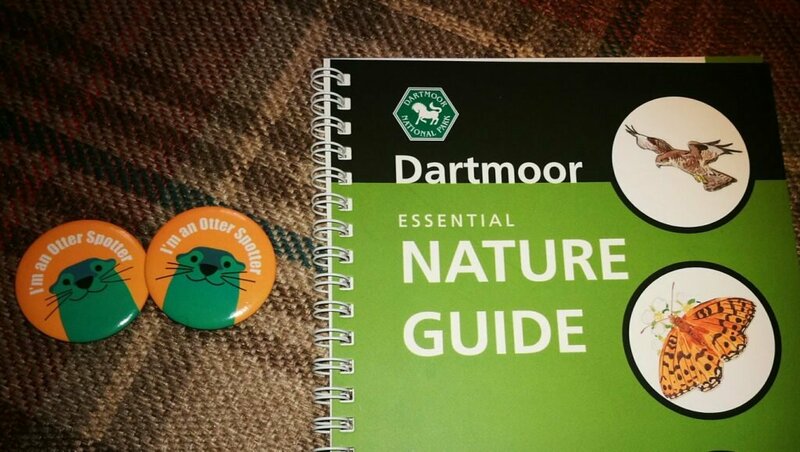 We also received our Otter Spotter Badges on this visit, this means we have successfully spotted 20 or more of the decorative Otters that are dotted around the moor in various great locations this summer, something we were rather pleased with! 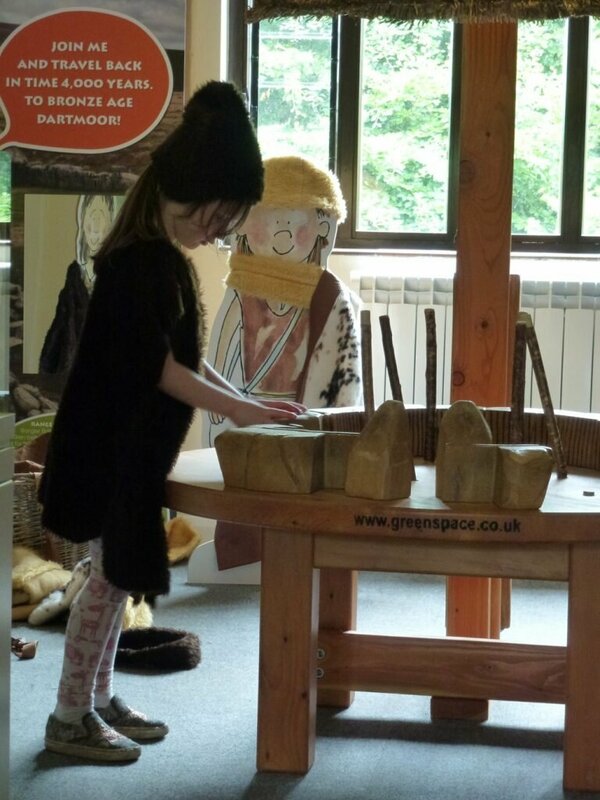 Upstairs in the visitors centre the kids had the opportunity to dress up in costumes and construct their very own roundhouse, fully immersing themselves in Dartmoor’s bronze age lifestyle. After our adventure we went along to the lovely Two Bridges Hotel where we enjoyed their friendly and attentive service. 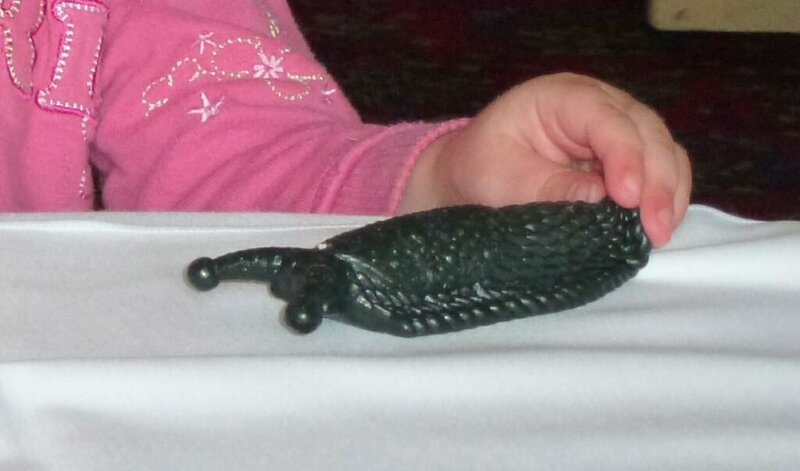 The children were sufficiently exercised and weathered and we sat to have a relaxing and delicious lunch together, I must add that the toy slugs played a key role in our lunchtime sitting and kept our girls entertained for ages! 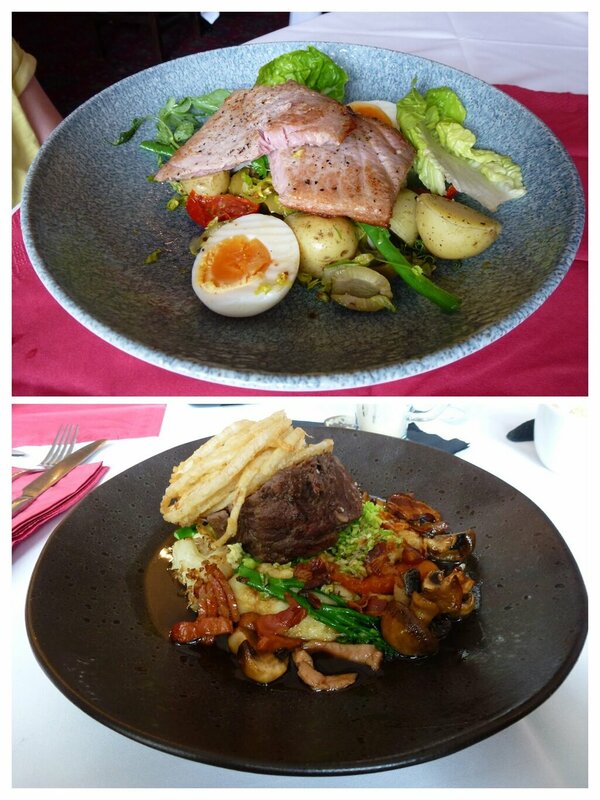 The food is truly yummy and beautifully presented and it was a real treat eating here. The restaurant lunchtime menu was simple and enticing and includes lots of local produce. Two bridges Hotel is set in an idyllic location, so after lunch we went outside to enjoy the scenery. The resident geese were waddling around and we took a moment to throw stones from the pebble river beach under the bridge, into the water. A perfect end to the day. A huge thank you to Visit Dartmoor for putting together this great day for us. For further details on any part of our day out, please follow the links below. 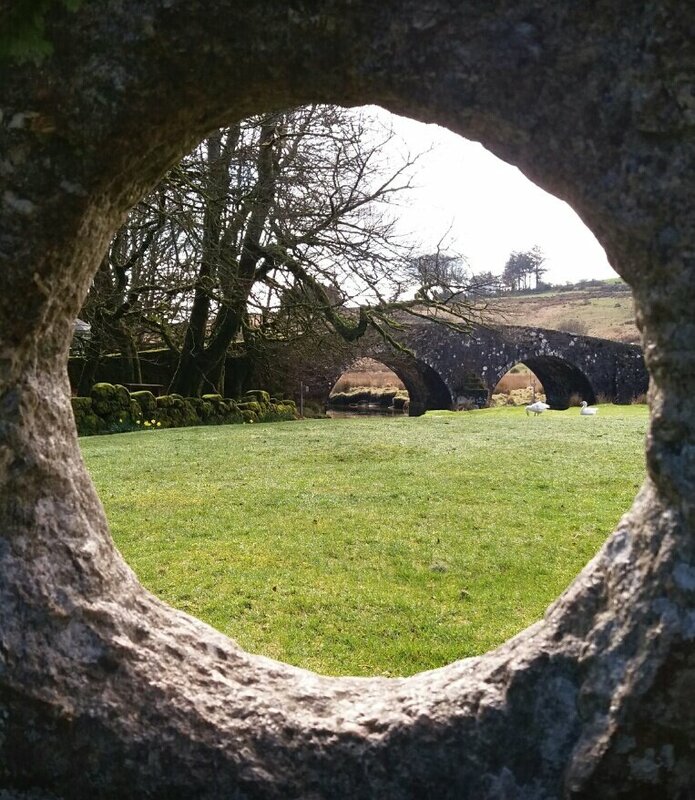 From pebble skimming, adventure, exercise, wildlife, nature, eating out and everything in between… Dartmoor is always a great day out no matter what you are doing. That feeling of being completely connected to the land is something that we can all enjoy, and I would encourage you and your family to experience it together as often as possible. 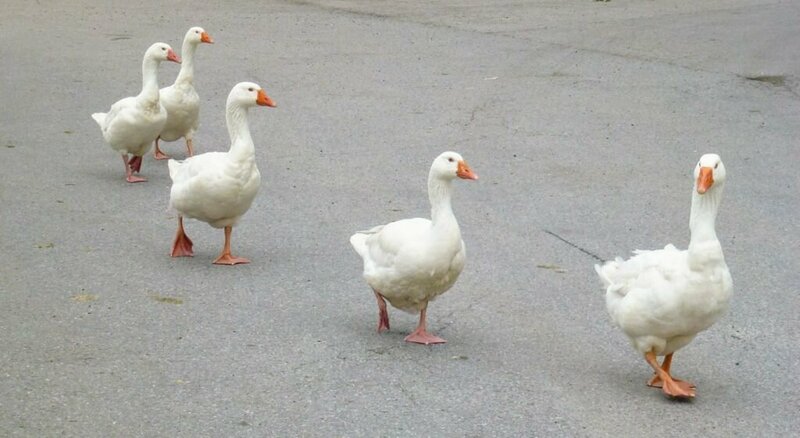 What a beautiful outdoor adventure with the family! Great photos!